I called San Francisco my home for almost nine years and miss it to this day. I have not been back since 2010 but I had the chance last weekend with some friends for a friend’s weekend/SF reunion/bachelorette party. It was impossible to get in everything I wanted to in less than 72 hours but I assure you, I tried my best. 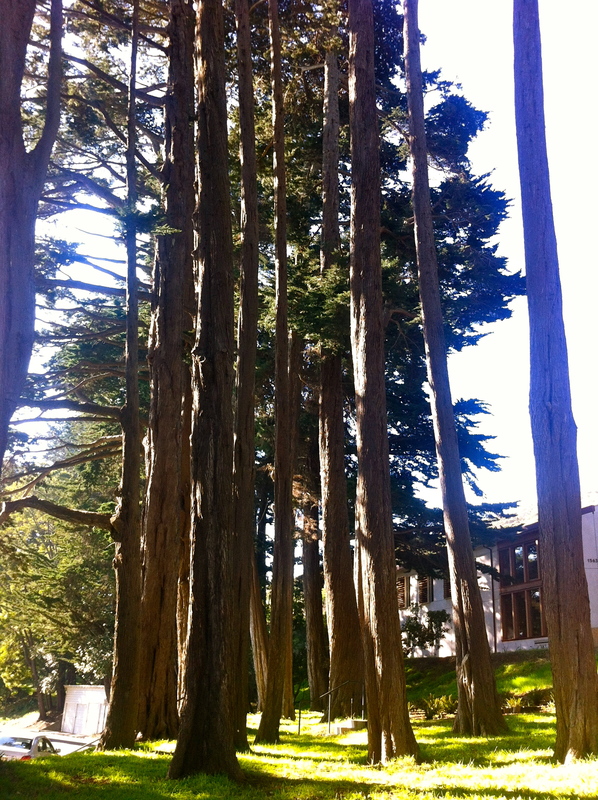 Experiencing so many new places in SF was great but the best part of my trip was seeing all of my SF friends again. Nothing can compare. I will post separate reviews on the sit-down dinners but wanted to pass on some must do/see/eat places. 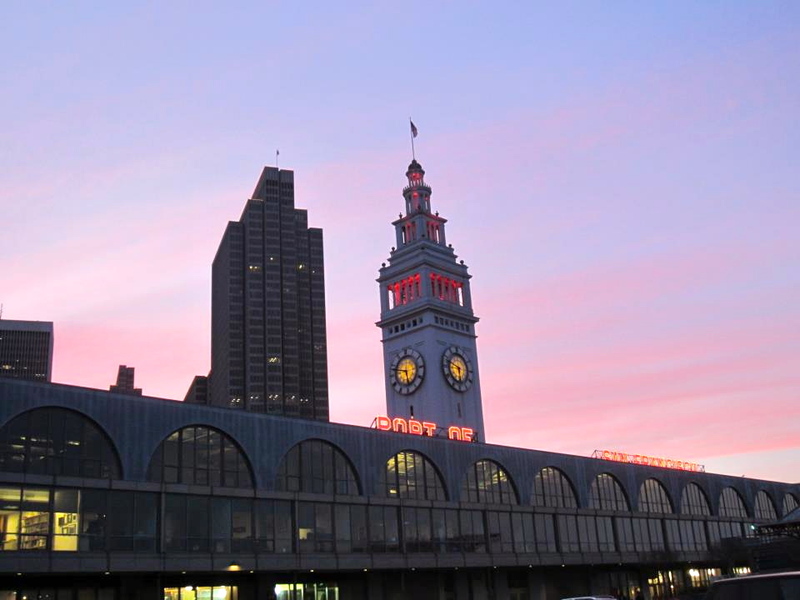 We stayed at Hotel Vitale on Mission and the Embarcadero. Great boutique hotel that is located across the street from one of my favorite places, The Ferry Building. Since we were such a big group this place offers something for everyone like SF favorite: Blue Bottle Coffee as well as chocolate, breakfast, lunch, and dinner places options. I think we averaged about 3 trips a day across the street. 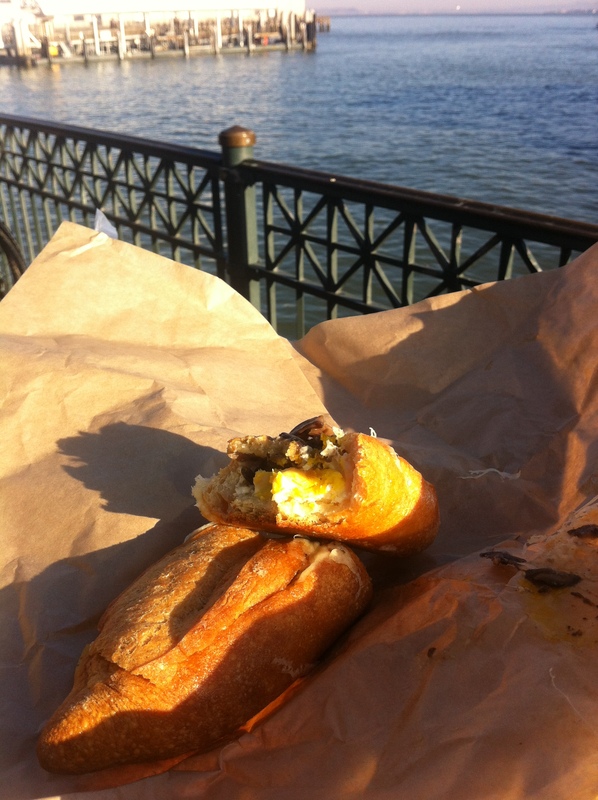 Day 1: Egg sandwich with mushrooms at the Cowgirl Creamery. Known for their wonderful artisan cheese, the sandwich did not disappoint, great bread, cheese (natch) and mushrooms. The bonus was eating outside in the sun. Day 3: Il Cane Rosso. For breakfast I go savory 9 times out of 10. But I got a whiff of cinnamon toast so decided to do both. Side of slow scramble and cinnamon toast! Both dishes were fresh and as light as one can get when dealing with eggs, butter and sugar. 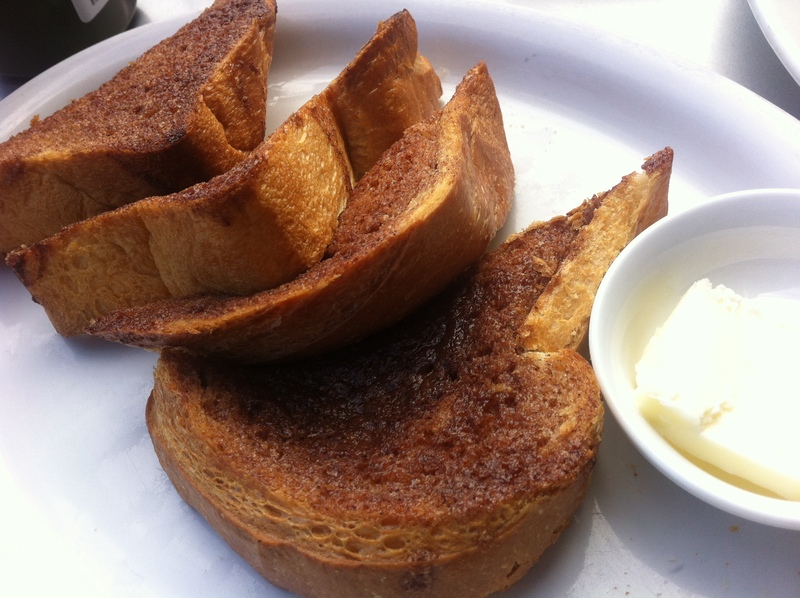 The olive oil on the eggs was superb and the crunch on top of the toast was as good as the soft warm bread underneath. Again, we enjoyed this sitting in the sun. 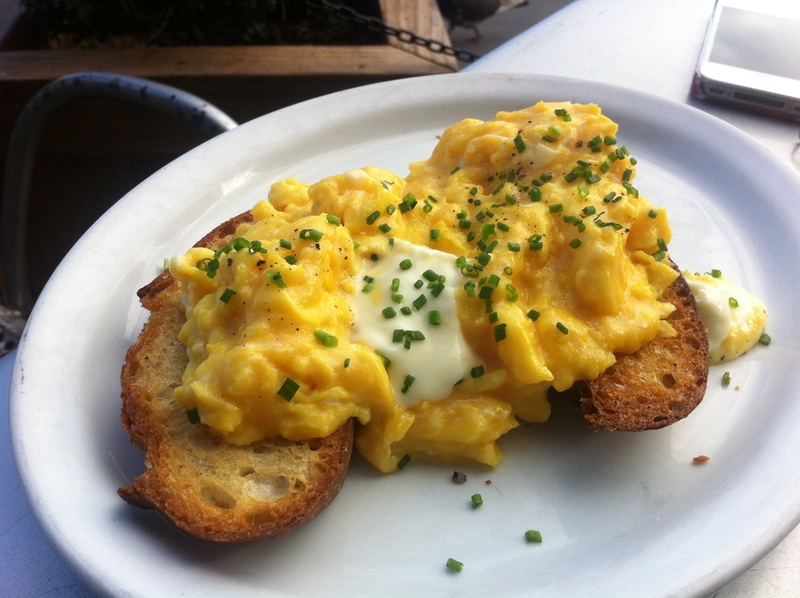 SLOW SCRAMBLE : Crescenza cheese, chives, acme bakery garlic crostini at il Cane Rosso (pictured here is the entree not the side). 3. 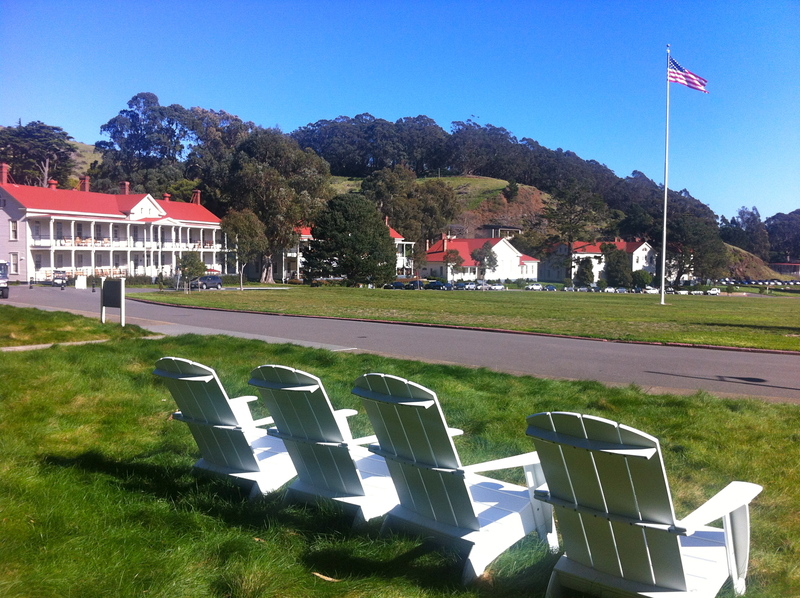 Cavallo Point – Spa in Sausalito that is absolute heaven. Highly recommend if you want some pampering and beautiful scenery. We had lunch there and it was fantastic. 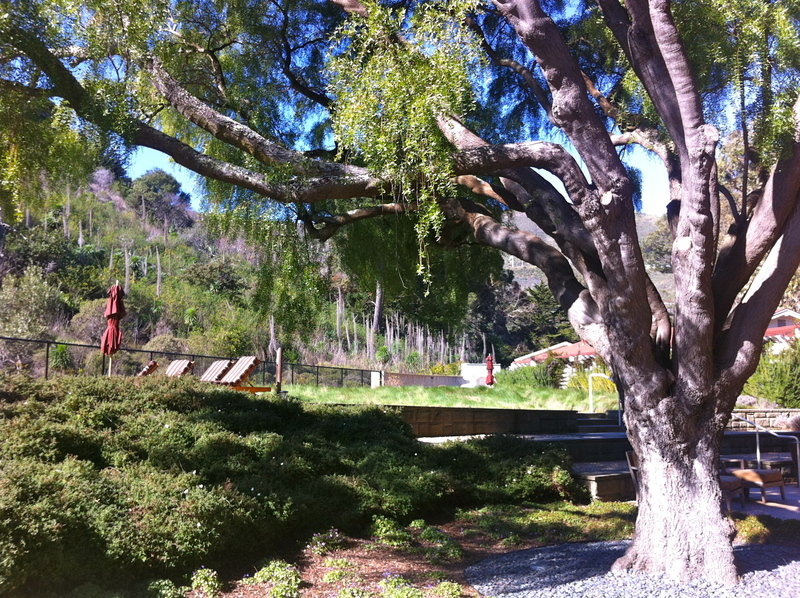 There was a heated meditation pool area that was surrounded by trees and lush gardens. We lucked out for January weather with clear sky and 68 degrees. 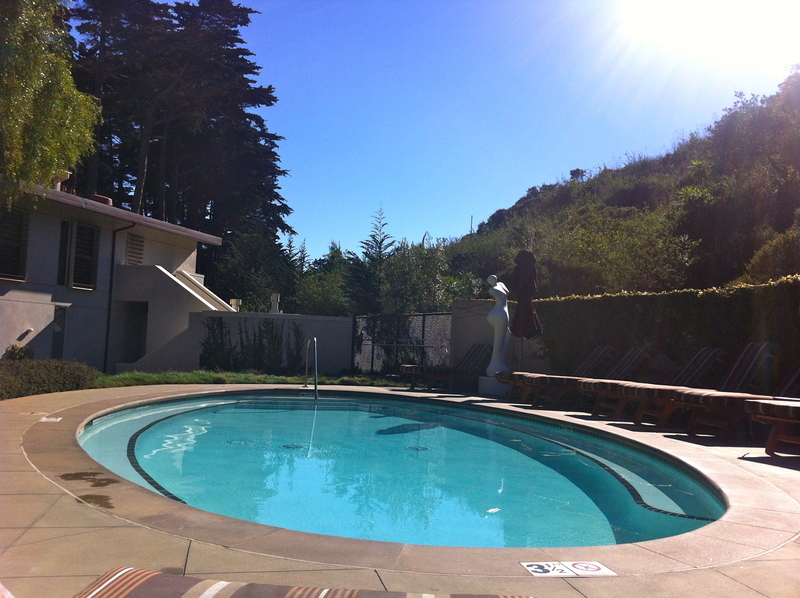 Warm enough to be in a suit out at the pool and feel warm and relaxed. 4. 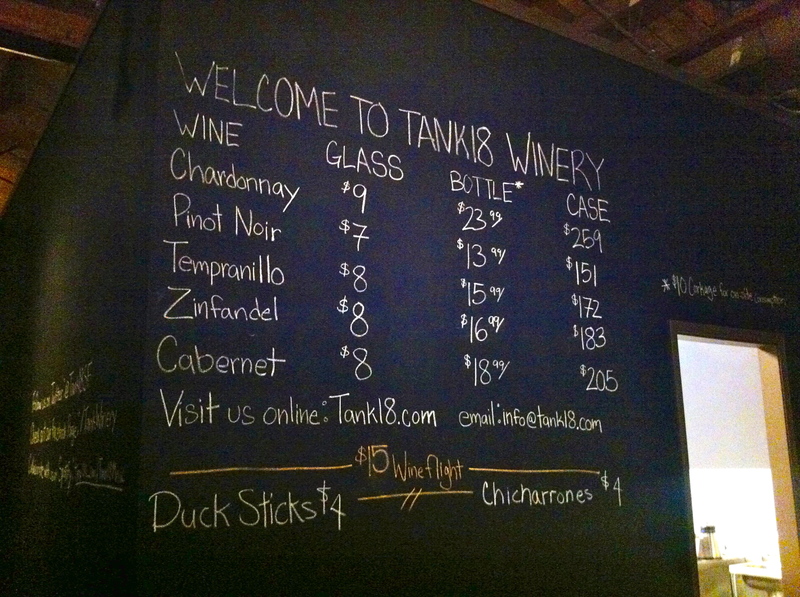 Tank18 – New wine bar that opened about 3 weeks ago in SoMa. Warehouse-like feel, good selection and really good prices. 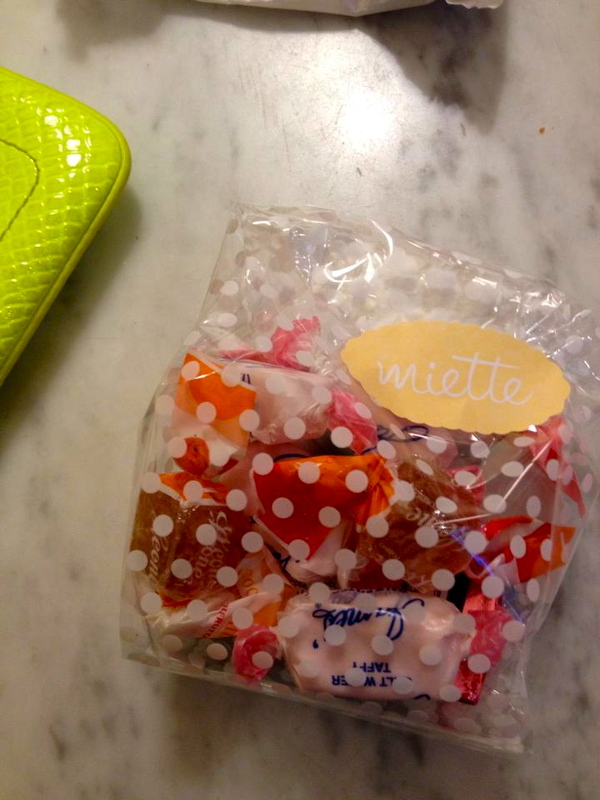 They have small plates of meats, cheeses and fruit but more for snacking rather than dinner. 5. Pizza Zero Zero – Great cocktails and even better pizza in SoMa. Cross between a pizza/Italian restaurant and lounge. The wait for a table (we did not have reservations, was a last minute idea) was quite awhile but we made ourselves at home at the bar. In fact, by the time a table was opened we passed because we were having so much fun at the bar. 6. 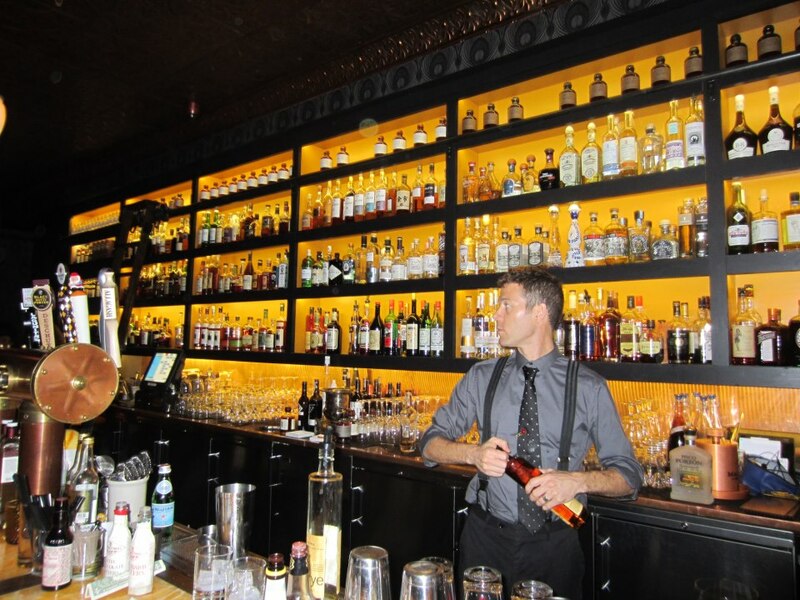 Bloodhound – Bar in SOMA, can get crowded but good vibe brushing up against the line of divey but not quite crossing it. I think the money spent on the decor keeps it on the other side of a dive bar. Pool table, good cocktails and selection of draft beer. Good place to meet people. Oh, they have a jukebox (I did not notice this but was told there is one). 7. Americano – Bar/lounge/restaurant in the lobby of Hotel Vitale. 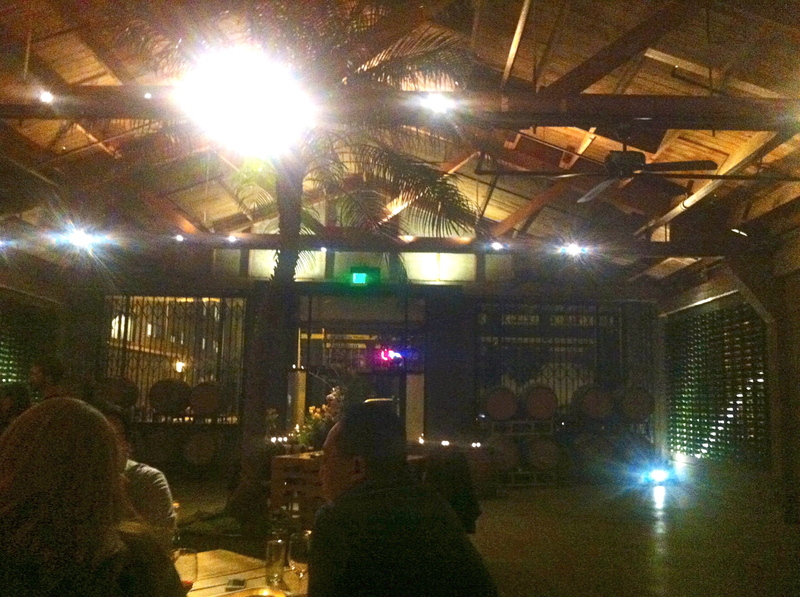 Really good for a hotel bar with outdoor seating (it was enclosed when we were there). 8. 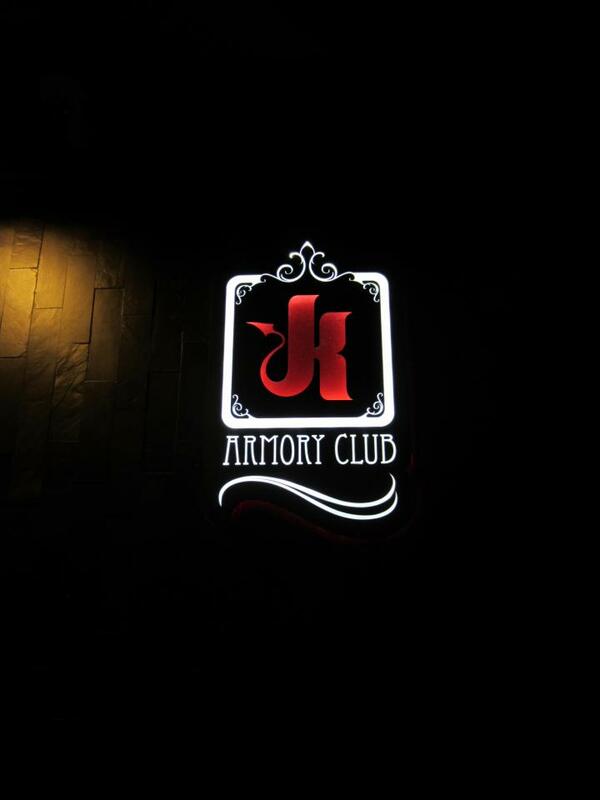 The Armory Club – Bar/Lounge in the Mission that opened late last year. Don’t let the owners of this spot scare you off (kink.com) this is their sophisticated classy sister. The decor is beautiful with touches such as damask wallpaper and changing video artwork (reminded me of the portraits at The Clift). You might wait for your drinks because they take their craft cocktails seriously but it is worth the wait. The crowd is part of the draw as well, huge variety and really good people watching. 9. Last but not least, In-N-Out Burger. After a misadventure resulting in a hike that wasn’t taken it was decided that we should at least get something out of driving 3 hours for nothing. 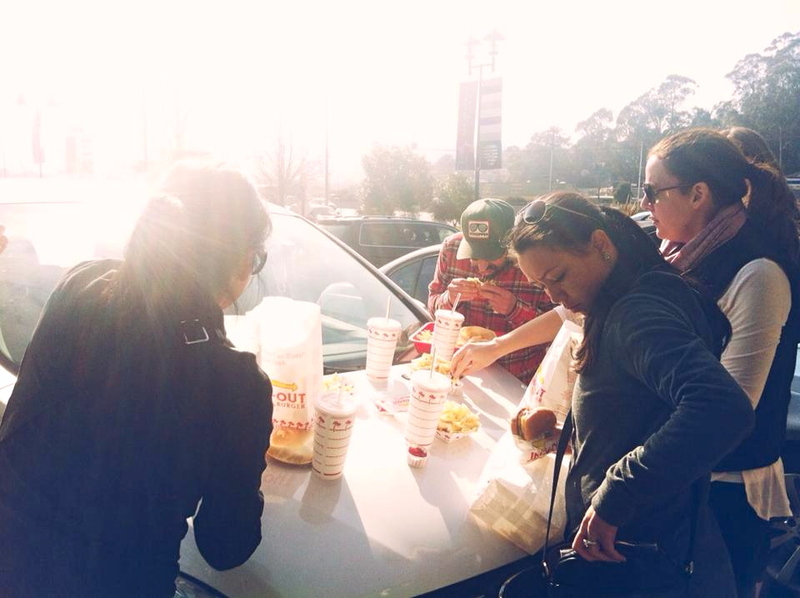 A nice parking lot picnic on the hood of a car with friends stuffing our faces was truly a highlight. It was a trip to remember! Great memories and your post means we’ll never forget the highlights. It was! I loving knowing we can look at back at this and have several laughs! Great post! 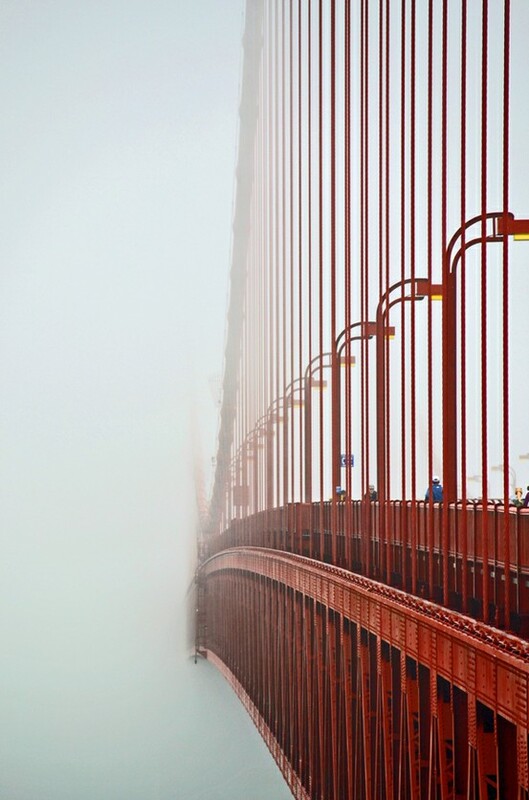 This will be perfect to forward to people that will visit San Francisco and want to experience an unforgettable trip. My heart melts every time I talk about it. Thanks! A trip is the best way to get travel ideas to share with others. Next up, Portland and Austin!